할범탕수육 ~ Journal of a dreamer. I realised that I've been blogging quite often these days. Such days won't last haha, so just let me warn my readers first. Anyway, I happen to watch this KBS2 documentary quite often as I always watch the TV while eating my dinner. It turns out that my Korean now is rather good enough to understand about 70-80% of the dialogues in that documentary but sadly, I can only probably understand about 50% of the news HAHA. This particular episode of the documentary was aired before my mid-terms started. 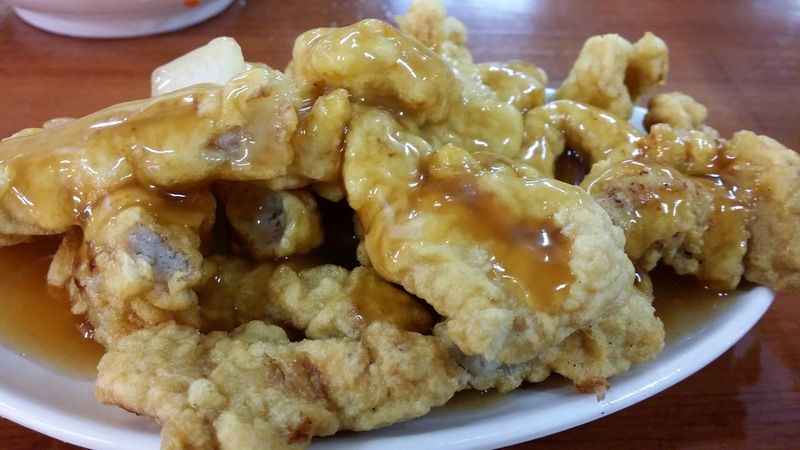 It was about this sweet and sour pork (탕수육) which cost only 1500 won and yet is bursting with flavour. This, the commentators said, is probably the cheapest and best sweet and sour pork in South Korea. The problem with such documentaries is that they usually don't reveal where the places are (I think they don't want to be seen as "endorsing" the stalls), so it is really up to the viewers to check out where the places are themselves, and this is where knowing Korean comes in very handy. If you really cannot understand what they're talking about, there is a high chance that you won't be able to find the place at all. I mentioned this to WK before and we decided to try it for lunch. It turned out that this place was rather near to where the church is so we decided to go there after service today. As my title states, the name of this stall is 할범탕수육. They came into the limelight for selling sweet and sour pork for 1000 won per portion, but they have since raised it to 1500 won, which, in my opinion, is still really super duper value-for-money. WK doesn't eat spicy food, so she ordered the guksu (noodles) while I ordered the ddeokbokki. 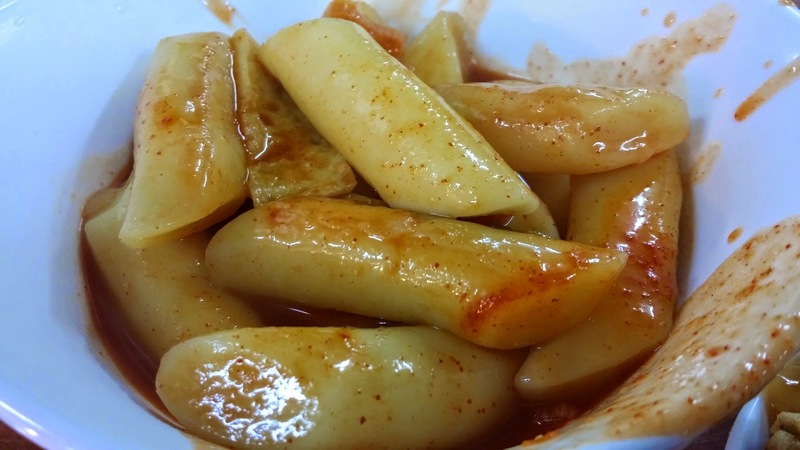 The ddeokbokki totlly exceeded expectations as well. The rice cakes were really very "bouncy" and chewy. Just of the right texture. 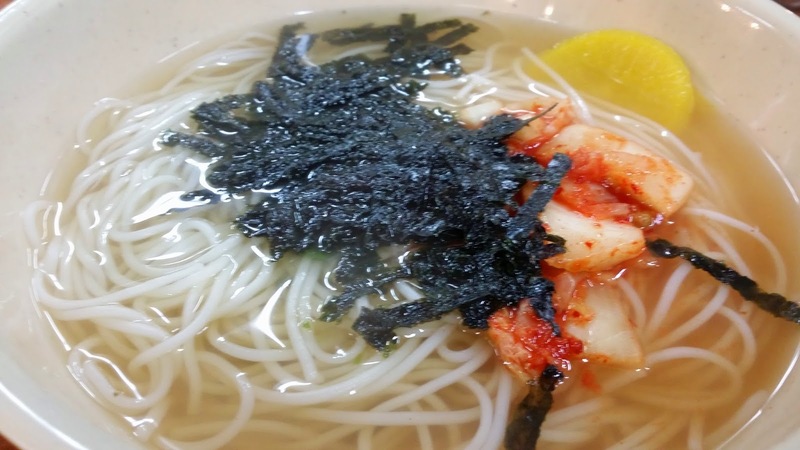 I tried WK's guksu and wow, the soup was really flavourful!!!! Daebak~~~! And guess how much all these cost? 1 bowl of guksu, 1 bowl of ddeokbokki and 1 portion of sweet and sour pork only cost us 4000 won! That's for 2 people! And it's actually enough! But both of us liked the sweet and sour pork so much that we decided to order another portion of sweet and sour pork HAHA. It's really damn good! The guksu was super good too, especially the soup! It was really damn flavourful! I think that's all for now. Off to do some revision and to settle my Japan trip! Byeeeeeee~!